Hugs and kisses are just too sweet not to share with friends! 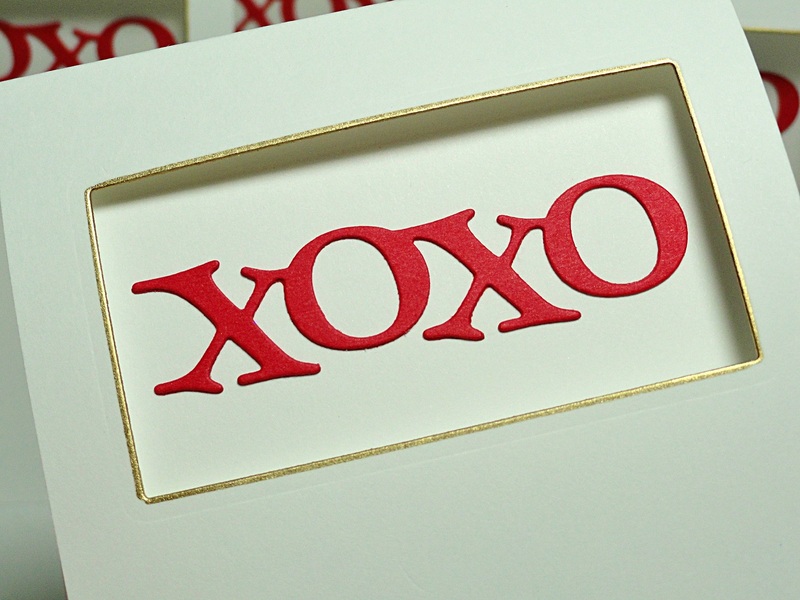 These X's and O's are perfect for making Valentine party invitations. A small rectangle die cut from the front of a white card base and edged with gold makes a great window for these rich, red letters. The letters were die cut twice from red cardstock and then glued together for extra thickness. Simply elegant yet easy to create multiples.